So your first thought is - where's Papua New Guinea? If you look at a map, Papua New Guinea is located right above Australia and actually shares land borders with only one country - Indonesia. Papua New Guinea may seem small but they have a population of over 6 million people. Now you're wondering - why should I travel to Papua New Guinea? We are here to tell you that you should be a part of this very special kind of festival - The Sing Sing Festival! This is not your traditional festival, this is not Coachella or Stagecoach. 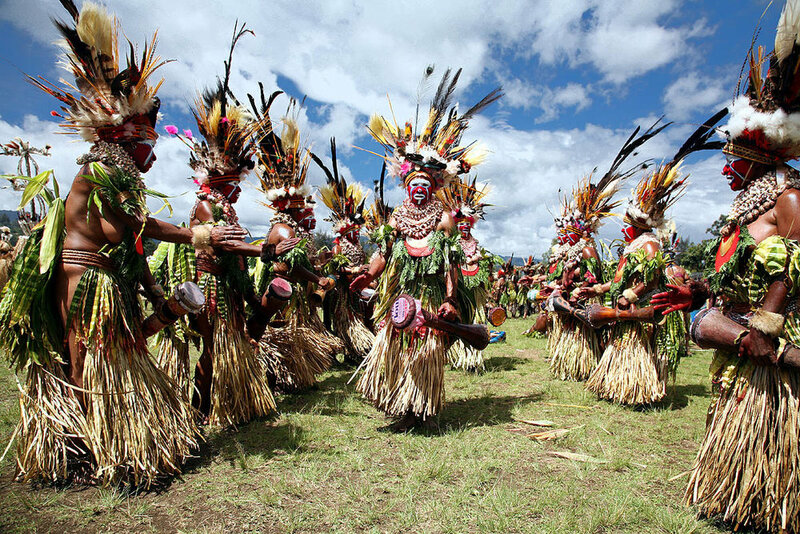 Every September, thousands of people from over a hundred tribes come together in Goroka, Papua New Guinea, to celebrate their unique culture. In this traditional festival, called a sing-sing – the biggest of its kind in the world – there’s a mêlée of dancing, singing and a rainbow of colourful outfits on show. You will get to immerse yourself in vibrant tribal cultures that have remained unchanged for centuries, while cruising rivers and exploring some of the most remote corners of the globe. Join us on this September's Sing Sing Festival on our Acanela Expedition to Papua New Guinea! Also - Check out these amazing photos by: Fabien Astre via Roughguides.com to get a better picture of what this unique trip is all about!